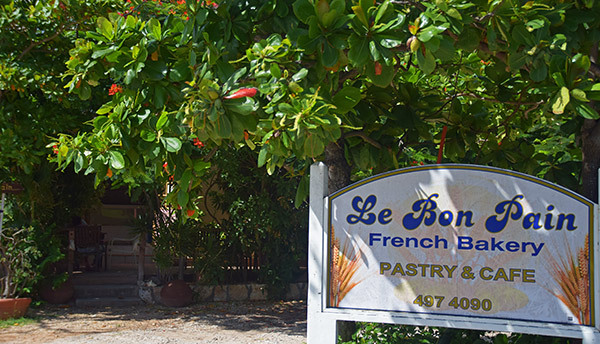 A charming French-Caribbean cafe, Le Bon Pain is home to THE best croissants on the island! 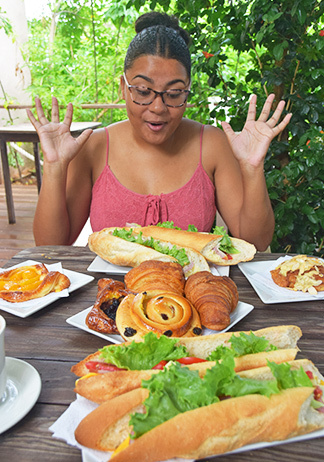 With endless flaky-pastry options (Yvonne bakes everything from chocolate croissants, to peach puffs, berry twists and raisin danishes), Le Bon Pain is also known for its tasty sandwiches, quiches and quality coffee. 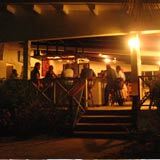 For almost two decades, French cuisine has never been better and more easily accessible here in Anguilla. 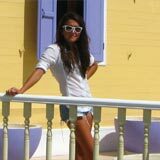 Right in the heart of Island Harbour lies one of Anguilla's favorite bakeries, loved by both locals and tourists alike. 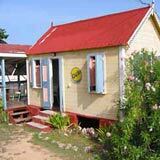 This charming slice of French-Caribbean life is none other than the well-known and highly favored, Le Bon Pain. It is easily identifiable by the big sign in the center of the parking area which is decorated by, naturally, wheat and has “Le Bon Pain” printed in fanciful writing. The bakery is secured by an artful rock wall. Two wooden steps in the wall's opening lead to the spacious patio. 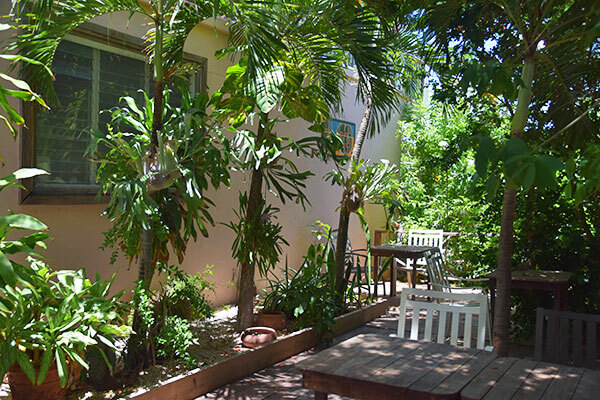 Covered by the shady branches of a large, orange flamboyant tree, it's a blissful spot to start the day. The wooden furniture on the deck merges seamlessly with the lush trees and intricate tree trunks that have emerged over the years. All of the elements work together in this little paradise. Le Bon Pain, Je T'Aime! It is right here, amidst the flamboyants, where our family fell in love with Le Bon Pain many years ago. 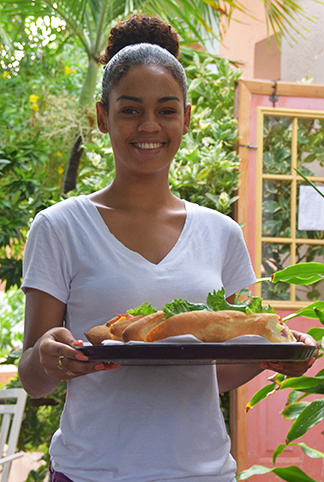 Like finding water in the desert, back in the early 2000's "good bread" was hard to find in Anguilla. 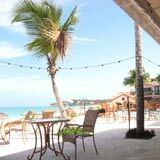 It seemed that tasty croissants and crispy baguettes could only be found twenty minutes away in St. Martin. But then, out on a morning drive, we noticed a sign... "Le Bon Pain". The aroma of fresh baked bread filled the air, and cars lined the streets. But this wasn't a "good croissant" tell-tale sign. We had been fooled before. 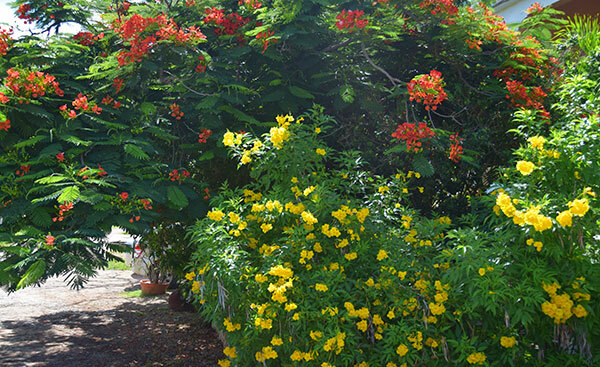 Nevertheless, we put our car in park, shrugged our shoulders, and thought "it wouldn't hurt to try..."
He moved to Anguilla from France many moons ago, seeking a slower way of life. 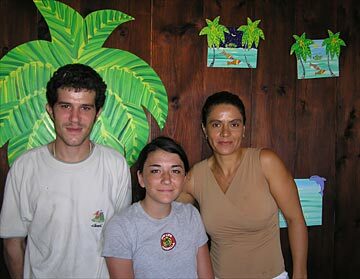 In the process he found a beautiful wife, Yvonne and began a bakery... and a family. As my Dad and I entered the bakery, a great hope arose. My Dad started speaking French to Bernard. Yippee! The French know how to make bread. Genuine smells of a serious bread maker wafted through the air. French bakers! Would Bernard and Benjamin be able to live up to our high expectations? I think our expressions tell the rest of that story! 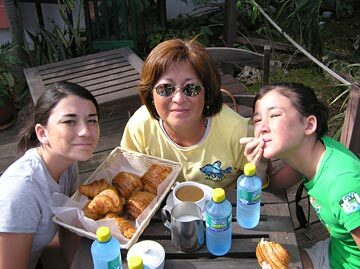 Let me just say, these croissants were better than any we had eaten on our day trips to St. Martin. And that's saying a lot. They were to die for! Flaky on the outside, warm and moist on the inside... everything a good croissant should be. The bakery's name was true: Le Bon Pain - the good bread! That first discovery was over a decade ago. Today? Le Bon Pain's still got the goods! 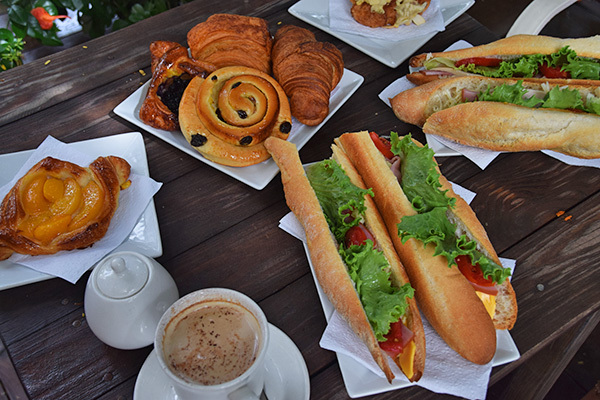 The captivating display of the various and freshly baked pastries take your mind off of the crowd as you attempt to make a mental list of all of the goodies to order. 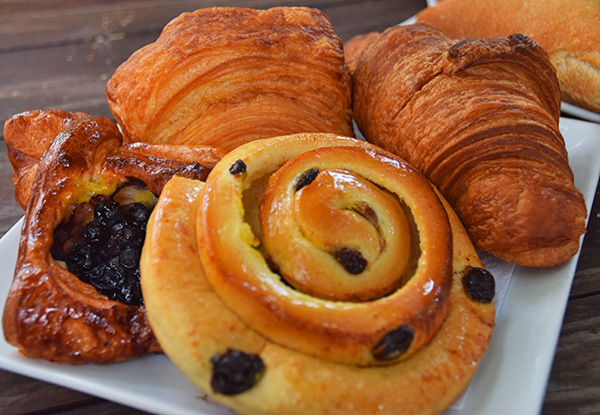 Peach, strawberry and blueberry puffs, plain, chocolate and chocolate almond croissants, berry twists and coconut and raisin danishes, the number of pastries are seemingly endless. 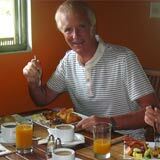 Island Harbour’s gem is famous for precisely this... their second to none pastries! Order of pastries from the french bakery! Weak at the knees, you are easily tempted by the innocent pastries. We can never narrow our picks down to just one. "Two pastries for here and then a few more to go, right?" I always ask my cousin, Louise, helpless to these pastries calling my name. 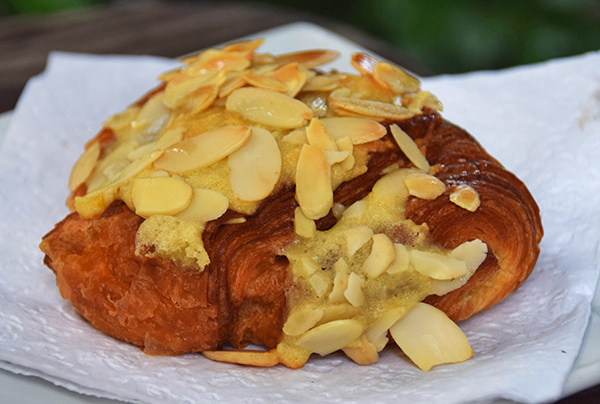 The almond-chocolate croissant and a peach puff make my and Louise's "top two" on every visit. The texture of the chocolate-almond croissant is so rich, perfectly tinted to a crisp brown and generously covered in fresh almond slices. People rave over the almond mix filling. Louise too, simply can't stop talking about it! Add the traditional chocolate filling, and all I can say is, "Oh my, what a concoction." As if this sugary treat wasn’t tasty enough, the thick glaze coat will certainly make your taste buds dance. The peach puff, on the other hand, is nothing short of peachy! Crispy on the outside, juicy on the inside and the real peach slices are divine. 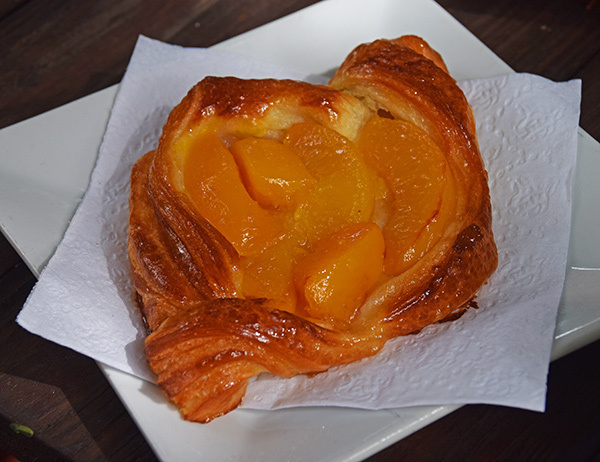 Warm peach puff right out the oven! Those scrumptious pastries kept us well occupied while we waited for our sandwiches. Louise's go-to order is an egg & ham sandwich with lettuce, tomato and American cheese. There’s something special about Le Bon Pain’s extra fluffy egg sandwiches that we haven't been able to find anywhere else. The bread itself is the icing on the cake. Its taste never ceases to amaze me. Crispy and golden on the outside and soft on the inside, it's heavenly. My favorite order? A club sandwich, which consists of turkey, ham and swiss cheese. Turkey, ham & swiss cheese! 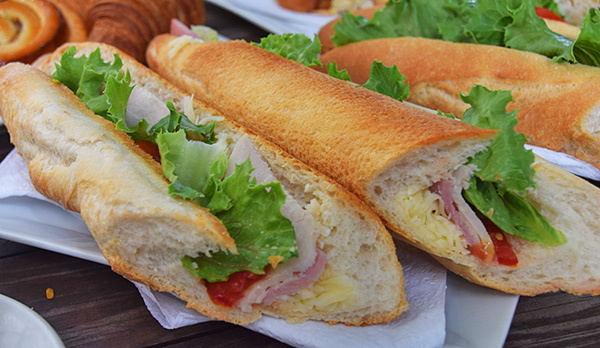 Made of an entire baguette that is cut in two, the size makes it a super high value order. It's a whole ‘lotta sandwich to keep anyone satisfied. To wash it all down are our choices of beverages. 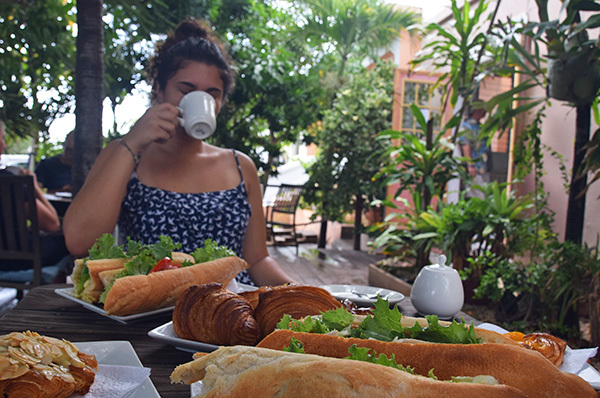 A café au lait for Louise and a freshly picked basil and lemongrass tea ("bush tea") for me. If you’re not a fan of coffee or bush tea, there’s also a wide variety of chilled fruit drinks that you may choose from in the four glass side fridge in the front, near the display. Table of pastries? Yes please! 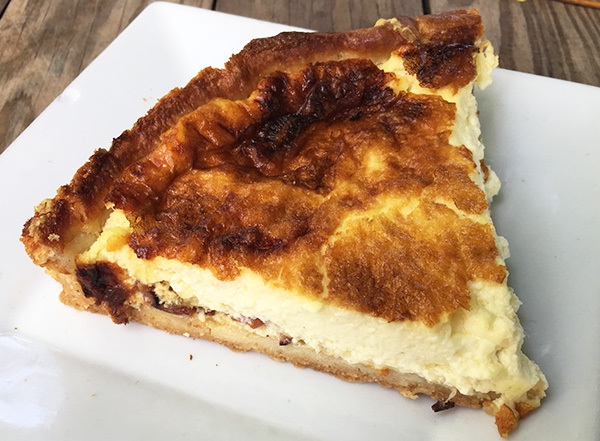 As if that's not enough, "two steaming hot slices of quiche to go," I ask our waitress. So light, fluffy and creamy, we save these slices for dinner later in the day. 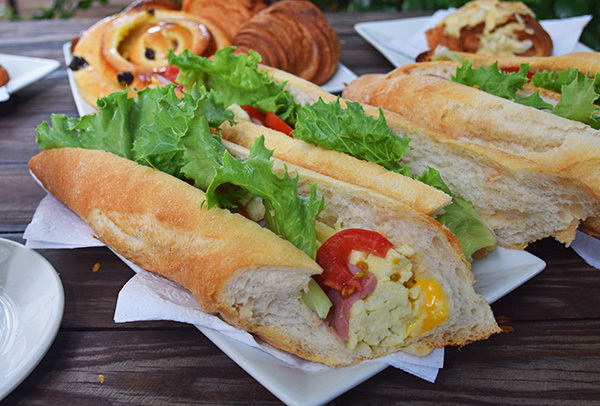 Consistently outstanding, after your first visit, it won't be long until Le Bon Pain becomes your morning "must stop" breakfast spot! Directions: Located on the main road to Island Harbour, before you reach the road to Arawak, if you're coming from The Valley. Good for croissants, breads, coffees. Hours: Monday-Saturday 7am-12pm, Sunday 7am-10:30am. Closed Wednesday (winter). Closed Tuesday and Wednesday (summer).